The poll of 1,018 adults shows 27 percent of Americans believe the president was “probably” or “definitely” born in another country, compared with 71 percent who think he was born in the United States. So 1 in 4 Americans do not believe that President Obama is really a natural born citizen. 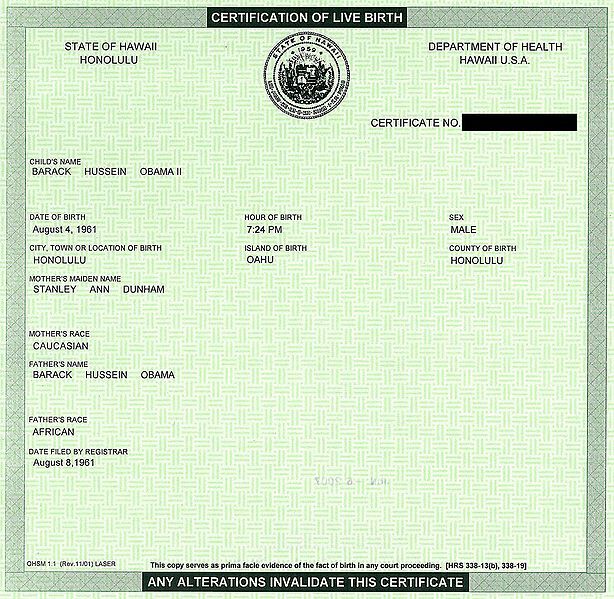 Is there any evidence to back up the Birther claims that Obama is not a natural born citizen? There is a simple (legal) answer to this question, but it won't satisfy the conspiracy theorists. 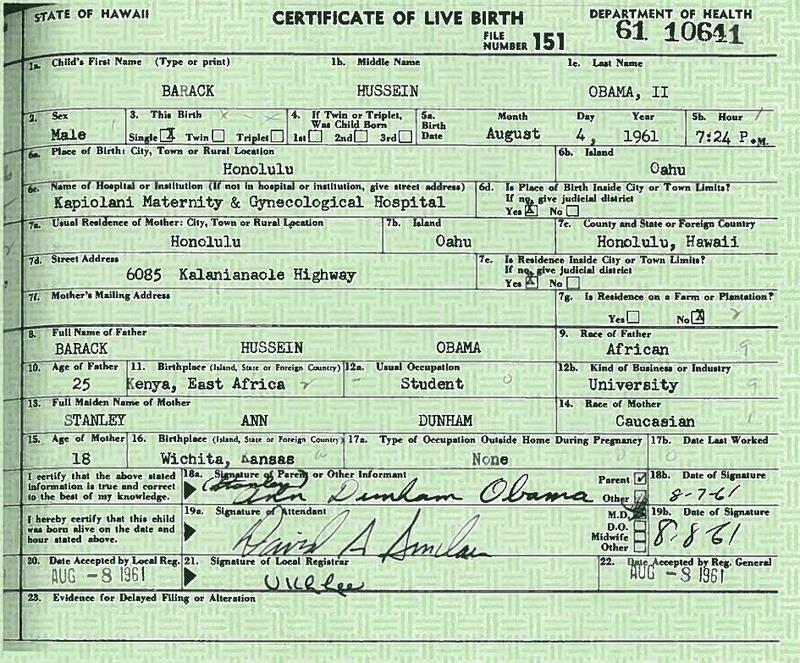 What this means, is that Barack Obama is a natural born citizen solely for the reason that Hawaii says he is. No other argument is necessary or required. 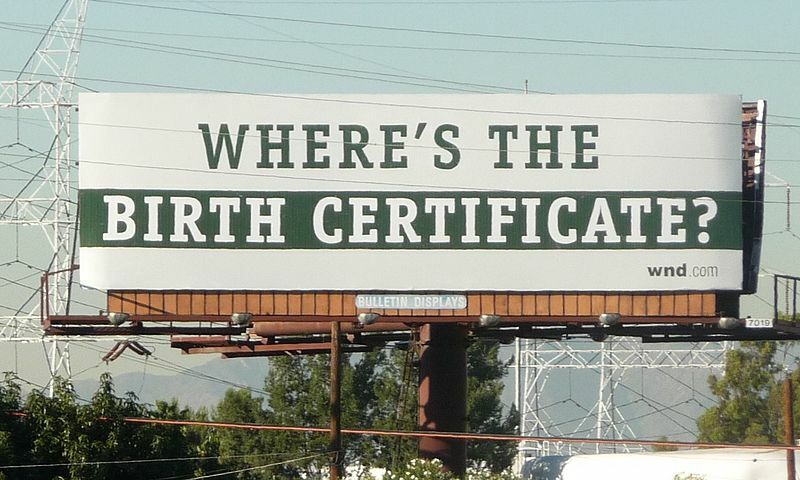 The only way to counter this argument is to have Hawaii repeal the certificate. I realize that this doesn't answer the implied question "Where was Barack Obama really born?" But it does shoot a hole into any Arizona laws intending to keep Obama off the ballot. If Hawaii says he's eligible, then Arizona has to respect that. While the constitution does state that to be president, one must be a "natural born citizen", it in NO WAY defines what that term means. So we are left with something of a legal void. There is the Part of the U.S. Code that address this. His mother, Stanley Ann Dunham, being born in Kansas, was a natural born citizen (I don't believe there is any question on that point). So, regardless of where he was born (Hawaii or Kenya as some have claimed but provided little if any evidence), he is a citizen. However, the U.S. Title only states that "The following shall be nationals and citizens of the United States at birth", and does not use the phrase "natural born". Unfortunately, the text of the Constitution does not define natural born citizenship, and neither the Supreme Court nor Congress has weighed in on the question. Not the answer you're looking for? Browse other questions tagged politics united-states barack-obama . Is Ted Cruz a “natural born” US citizen? Have fewer children with Down Syndrome been born in the United States?